Club Penguin Rewritten is a remake of Club Penguin, which graced screens for over a decade before closing in 2017. The philosophy behind this remake is that the game is not going to die just because it was discontinued. This article shall consider 10 Club Penguin Rewritten cheats and hacks that can make the playing experience smoother and easier. Please note that the order in which they will be presented is totally random. Here I will take you through some interesting and unknown parts of the game such as secret rooms, shops, items. You can buy some items in the game with Coins. However, you can find some Hidden Items, and they can be quite appealing. 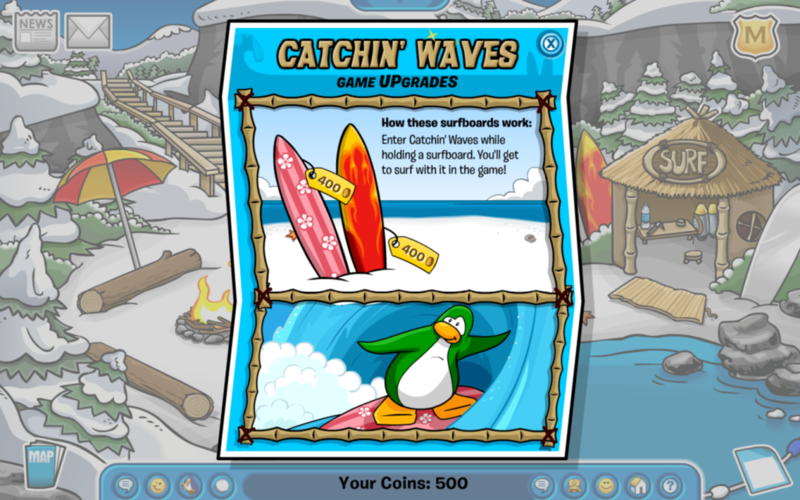 As you can see in the screenshot below, you are offered the purchase of surfboards in exchange for coins. However, the W and the A in “WAVES” can be clicked on and a Hidden surfboard becomes available. This is possible in more places than just this, so be sure to look for Hidden Shop Items. If you see your mouse cursor switching to select something when shopping/browsing, odds are there is a hidden action there. It should absolutely be noted that this game has Hidden Rooms in addition to the Hidden Items. You can do research on all the available rooms depending on what you want at any given time. However, there are many rooms that you must earn access to. Access to regular rooms almost always is free, but there often is at least one thing that you must do before you get access to a Hidden Room. This article of Cheats and Hacks for Club Penguin Rewritten will cover one such Hidden Room later. Items such as the Friendship Bracelet and many others can be found in various ways. 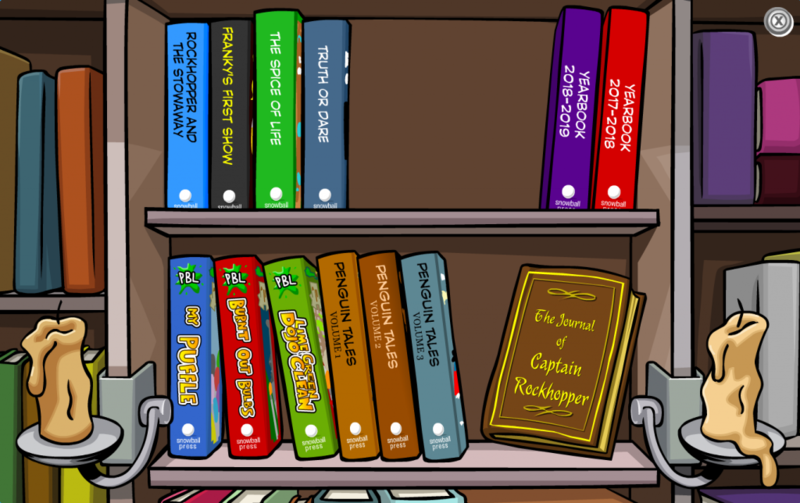 For instance, you will find this specific item at the end of the “Rockhopper and the Stowaway” book. Hidden Items are all around the game and you can use them easily, so get exploring! As you can see in the screenshot below, the area where the book can be found is shown. This is in the bookshelf upstairs in the coffee shop. The more you know about the game, the faster you will advance. Have a seamless experience by making use of the hacks presented in this section. When performing actions, it may take longer if you use the mouse to select. Some actions even require more than one click. Consequently, it is beneficial to familiarize yourself with the keyboard shortcuts for every action and emote. As well as that, combinations of keys will allow you to perform emotes that you cannot select with your mouse. Due to this, you have every reason to experiment with or read about keyboard shortcuts to understand better. By hovering over an item somewhere in the game, you might be offered the option of playing a game. In doing so, not only will you be able to entertain yourself, but rewards can be earned too. You will earn stamps in accordance with your aptitude and performance. Moreover, another reward that you may get is coins. 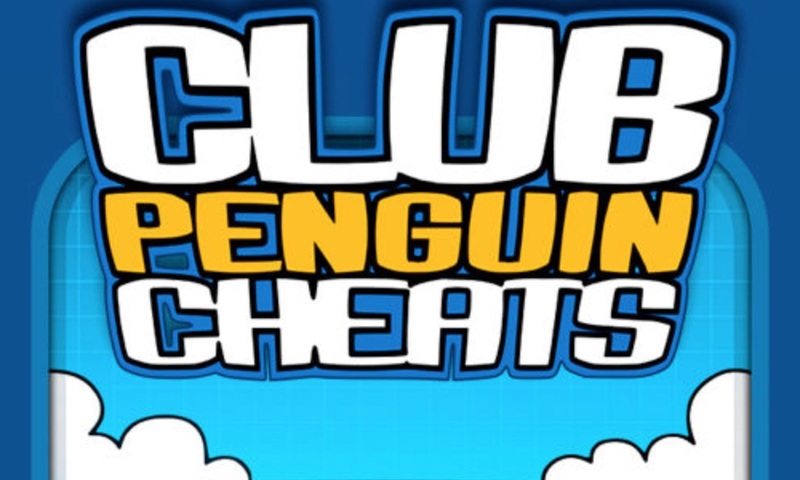 This Cheats and Hacks article for Club Penguin Rewritten does not quite provide cheats and hacks for minigames – so you will have to figure it out yourself! That would be an entirely different, much longer article. This article of Cheats and Hacks for Club Penguin Rewritten will consider things before you fully enter the game too. Mainly during events, often on holidays, codes with which you can access many items are available. If you look up Club Penguin Rewritten Codes on the internet, you will find what codes are available for use today. You can see “Unlock Items Online” in the top right corner of the screen you see before clicking ‘start’. Through this, you can enter any codes you have access to. Explore more and access different roles the game is offering. Put yourself in the shoes of a secret agent, take the cap of a tour guide, or even be elusive as ninja. If your account is older than 30 days old, you can become a Secret Agent. In this role, you can help Club Penguin Rewritten keep the game and community a pleasant one. After clicking the “M” icon on the main screen and then the letter, you will be tested. If you pass, you can become a Secret Agent, helping report people for misbehaving as well as trying to make the playing experience as enjoyable as possible. There are appealing perks to becoming a Secret Agent. This includes receiving a phone, access to the HQ and to special missions. However, the emphasis is placed firmly on making the game a safe place for everyone. In addition to becoming a Secret Agent and helping ensure that the playing experience is as good as possible, there are a few more hats you can wear, so start working towards them. You can become a ninja and have access to the Ninja Hideout, which is one of the many hidden rooms. Moreover, at 45 days, you can become a Tour Guide, helping familiarize newer players to the game. The guidance other players can give when asked is very useful. An article about Club Penguin Rewritten Cheats and Hacks may have in-game advice, but it is not wrong to ask. Maybe a Tour Guide in the game is a good start if you have any questions. 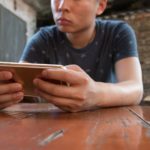 The online wiki is useful as well, but never be afraid of asking, if anything comes to mind. Last but not least, let us talk about gaining and using coins. Acquiring items is probably one of the most important aspects of the game. There are several methods to sack coins, pick up the one suits you better. 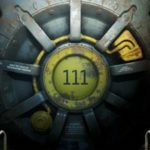 To buy in-game items, you need coins. Coins can be awarded for entering certain codes, however there is a different method. This would hardly be Cheats and Hacks for Club Penguin Rewritten if you were not advised on farming coins. 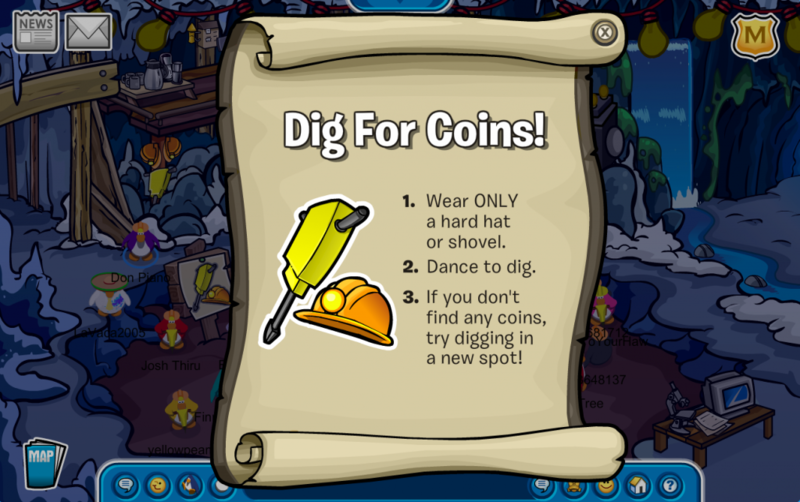 If you go to the mines in the game, you can mine for coins. The instructions for doing this is in the screenshot below. The hardhat for the mining can be found in that same room, and that is all that you will need. Using this method can get you many coins, and quickly. Drilling while idle awards a significantly lower amount in the long-run, so be sure to move around. 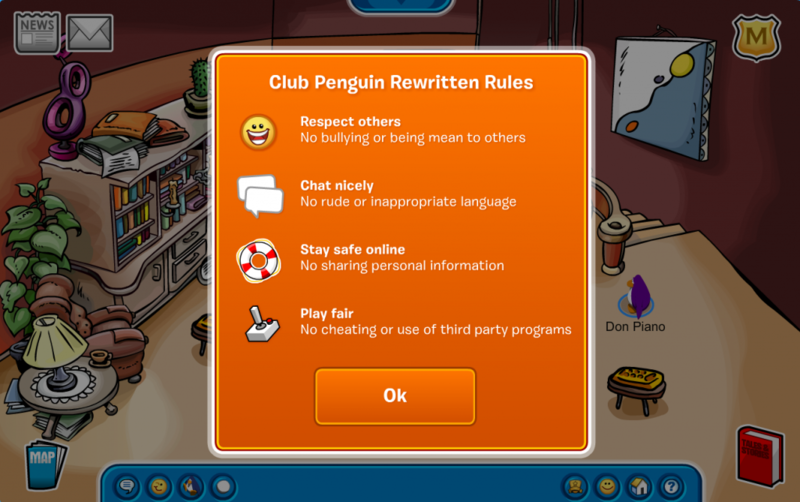 To conclude, then, we can see many different Cheats and Hacks for Club Penguin Rewritten. The implementation of all of these will make the experience of playing the game easier and more fun. Good luck and enjoy, waddle on!